Top 3 Ways to Get Your Skin Ready for Summer - Doctor Hermann M.D.,P.A. We offer many different types of facials to suit every skin type. 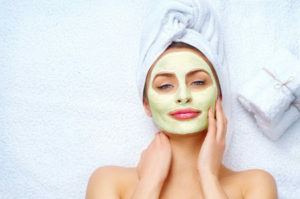 There are facials designed specifically for rejuvenating and cleansing the skin, facials to fight acne, and facials to help your skin appear tighter and firmer. The Vitamin C facial is a great way to get nutrients into the skin to protect it in the summer breeze and sun. Another option you have for rejuvenating your skin for summer is chemical peels. Peels will remove the debris from your pores, cleanse your skin, and slough off old dead skin. This process will leave you with a fresh, tighter layer of skin after the healing is complete. It may take several days up to a week for your skin to recover and look its best after a chemical peel, so make sure you plan it well before any event. After your facial or peel, you will need to take good care of your skin to keep it healthy and fresh throughout the summer months. We are familiar with the best skin care products on the market, both prescription and retail. By examining your skin, asking questions about your lifestyle, and discussing your history, we can develop a routine skin care regimen that will keep your skin looking fresh and young throughout the next several months. If you are interested in fresher, younger-looking skin before summer events start, contact us today for an appointment.